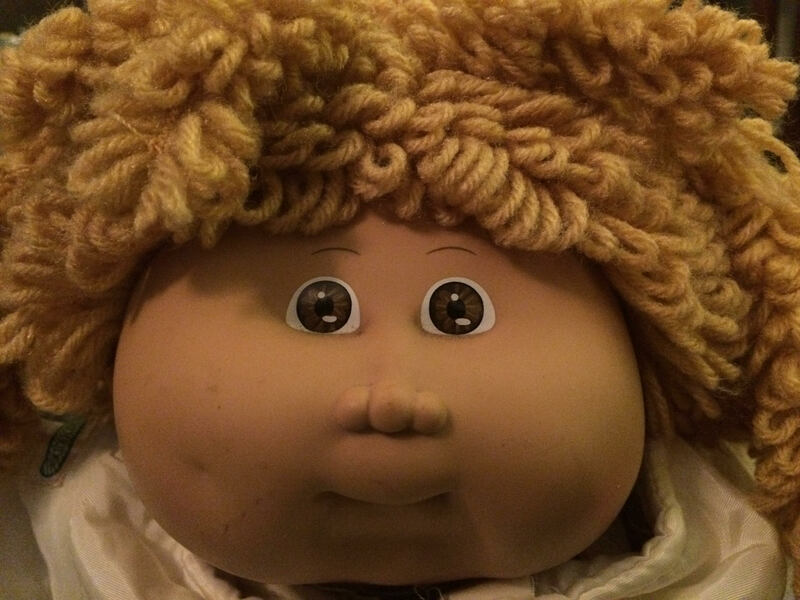 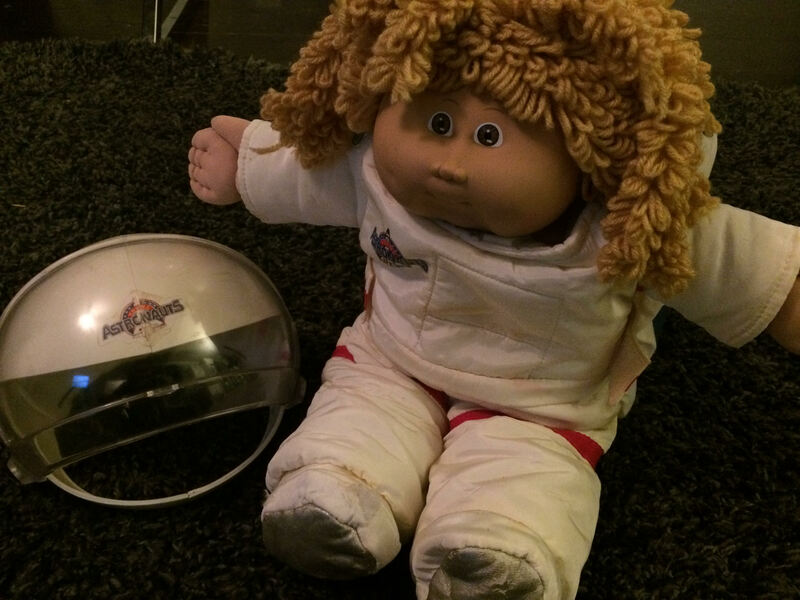 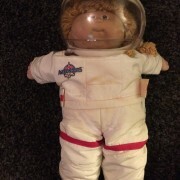 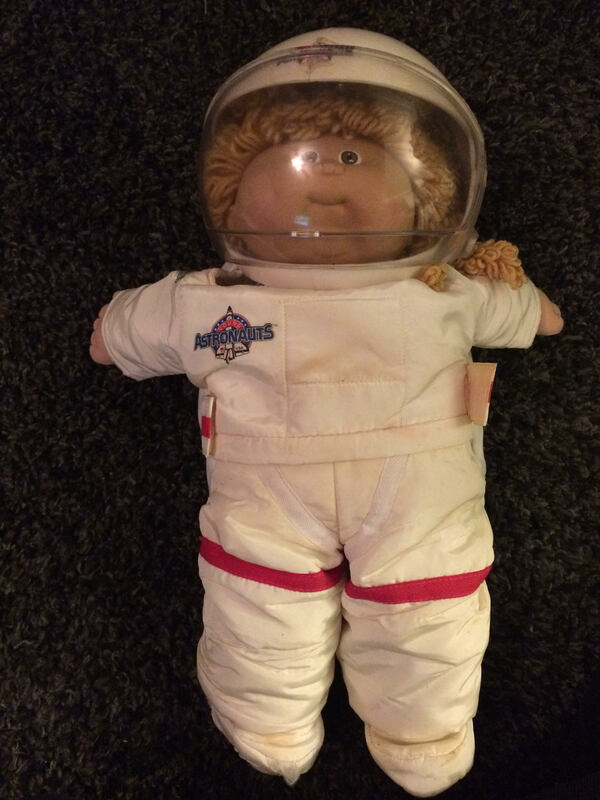 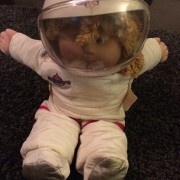 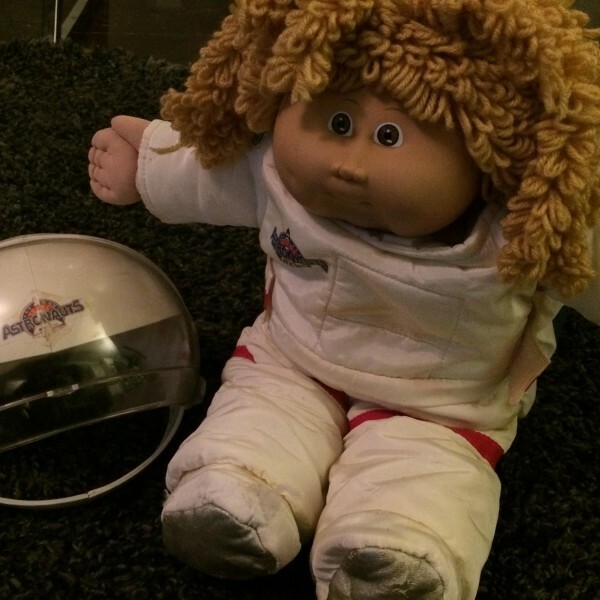 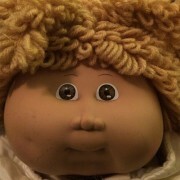 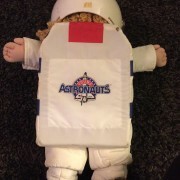 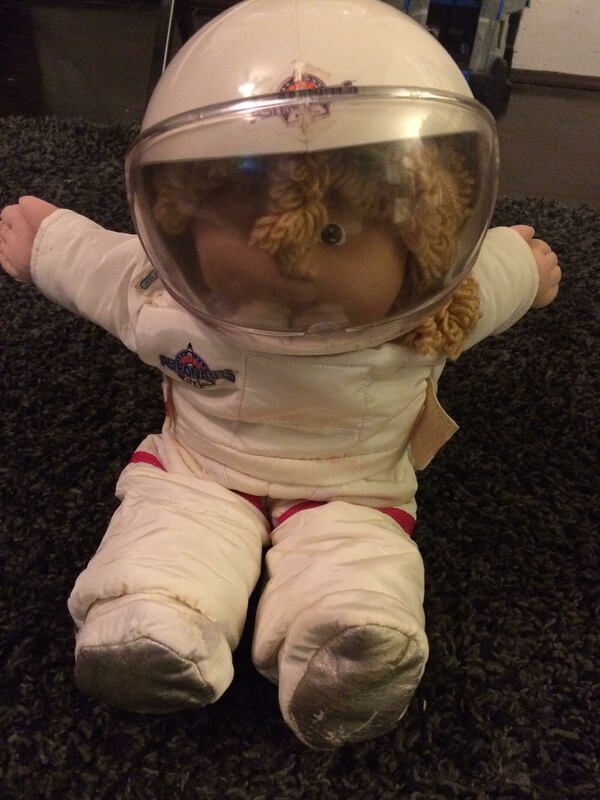 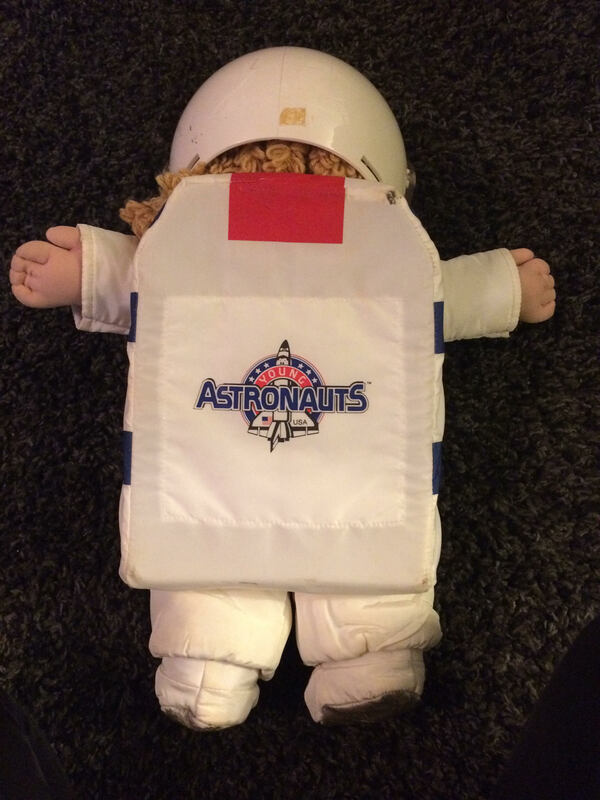 Vintage 1985 rare Cabbage Patch Kid complete with astronaut helmet and outfit.  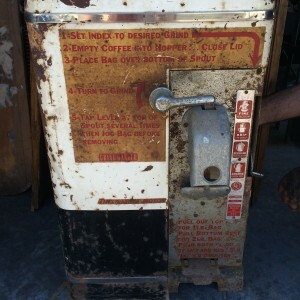 Comes as is. 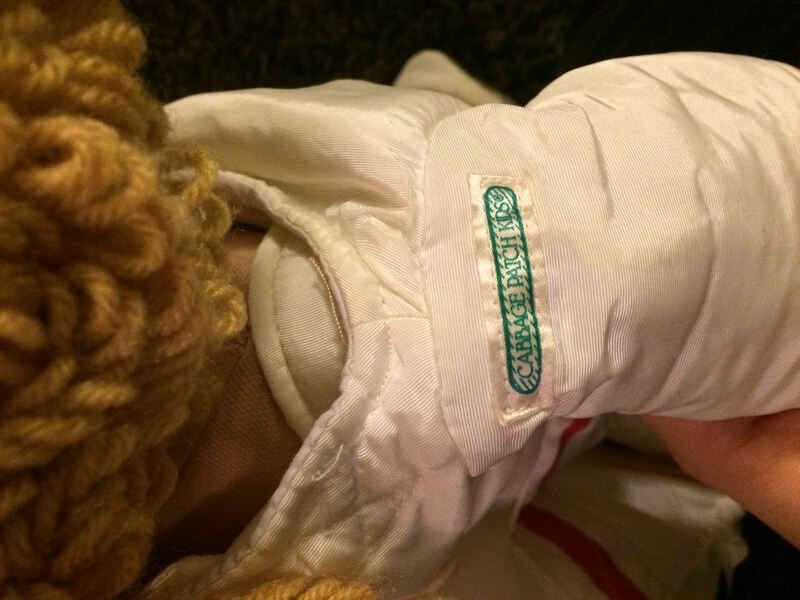 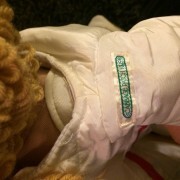 The foot has a small hole and minor stains on suit.